Carson Wentz — doing whatever it takes to get there. Carson Wentz — doing whatever it takes to get there. Carson Wentz — doing whatever it takes to get there. It’s been a 14 year dry spell for the Philadelphia Eagles, 14 years since they were last in the Super Bowl, but that dry spell is over. 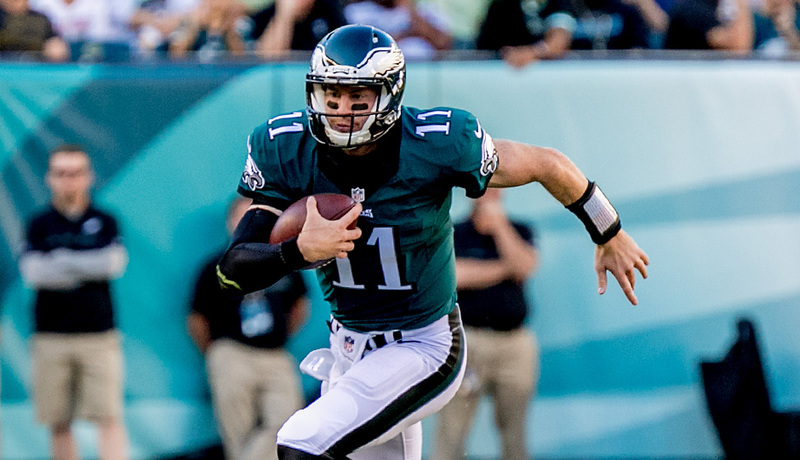 2018 sees the Eagles return to that noble competition, and with them comes the talented Carson Wentz. 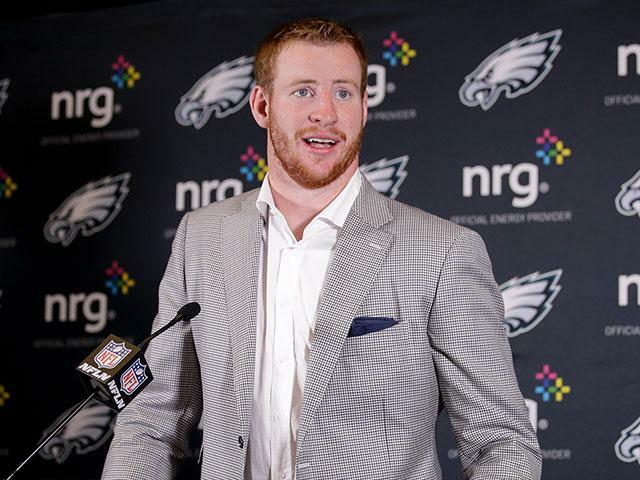 Carson Wentz has been an incredible addition to the team and has definitely done his part to carry the Eagles to this historic event. 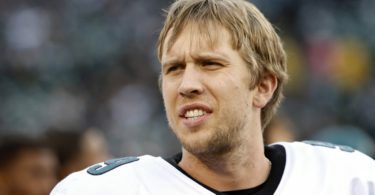 Let’s take a look at the past of the Eagles star Quarterback. Carson Wentz wasn’t always a Philly boy, indeed he got his start in Raleigh, North Carolina. True, his career in that state (From birth to age 3) was shorter than his time with the Eagles as his parents moved him to North Dakota. He comes from a sports heritage, his father Dough Wentz played as a linebacker for Northern State while he was in college. Obviously Wentz followed in his father’s footsteps, getting his start early in Century High School in Bismark where he spent a great deal of time engaged with the local sports program. 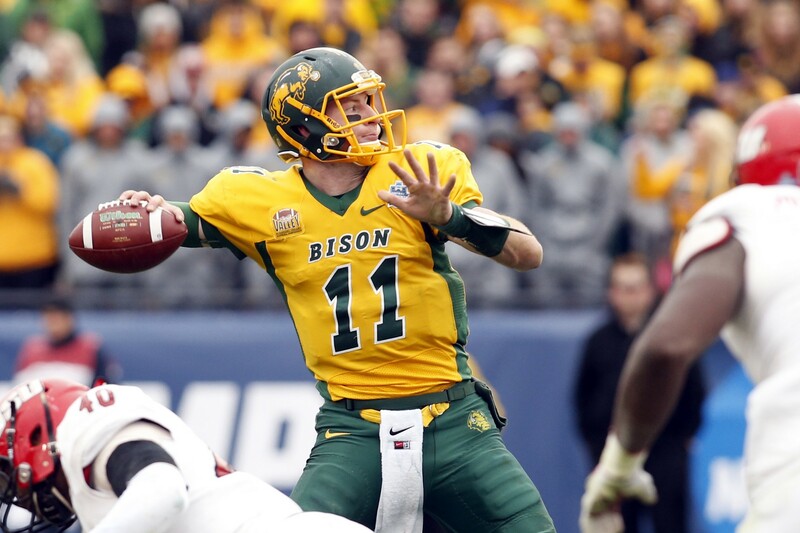 Carson Wentz started his professional sports career during his time with North Dakota State as he attended college. 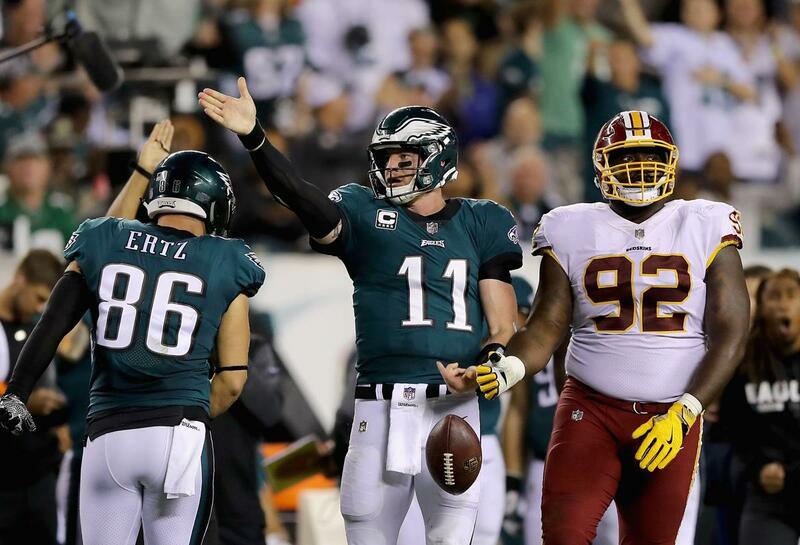 On September 22 Wentz first played at the collegiate level, serving Brock Jensen as his backup quarterback and aiding the team to defeat Prairie view A&M. 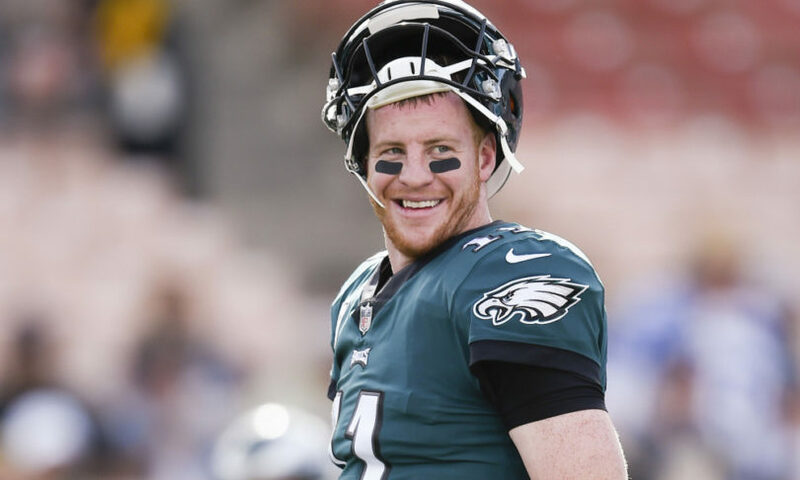 He made an excellent showing by completing 75% of his 16 pass attempts and accumulating a total of 144 passing yards with two touchdowns by the end of the season. Little did they know he was just getting started. Every subsequent year he played for the college seemed to result in higher and higher numbers in both these categories. It was clear that he was being scouted by professional teams at this point, many of them eager to scoop him up once he completed his time at college. In 2016 the Philadelphia Eagles brought him on for his first year with them. 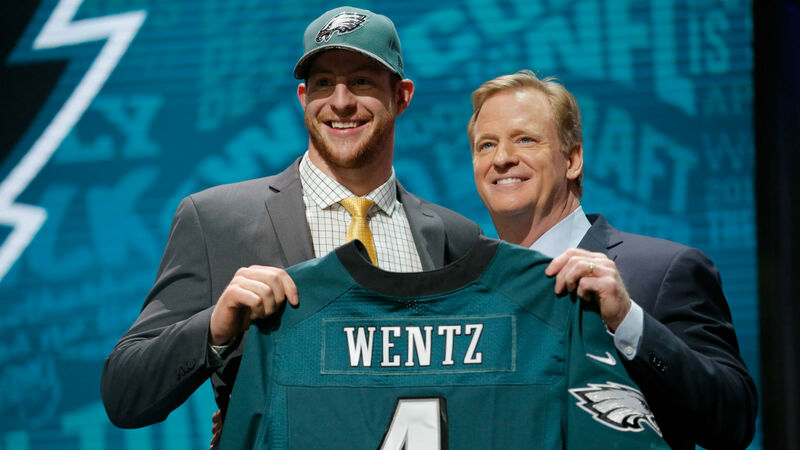 When Carson Wentz first joined the team, he was determined to make an amazing showing his first year, a decision the Eagles clearly mirrored when they broke precedent by picking him during the first round of the NFL draft. He also stands as the highest FCS quarterback taken in draft history, clearly they expected great things from him. They later traded away top picks to ensure that they got him for their team. 2016 was a truly remarkable year for him as he quite unexpectedly was set to be a starter quarterback during his rookie year. This wasn’t originally intended to be the case, but after Sam Bradford got traded to the Vikings it was determined he was the best choice to replace him. It ended up being an excellent choice as he got off to a fireball start with 278 passing yards and 2 touchdowns in his first game against the Cleveland Browns. His career continued in the same way it began, remarkable. His performance as quarterback never faltered, with his maintaining a high passing yard count and an impressive touch down ratio throughout the remaining year. Unfortunately late in the 2017 year he found himself with multiple injuries to his knee, a condition which has definitely hurt his team as he’s become incapable of playing while in recovery. Regardless it was his skill and excellence that led the team to reach the Super Bowl for the first time in 14 years. 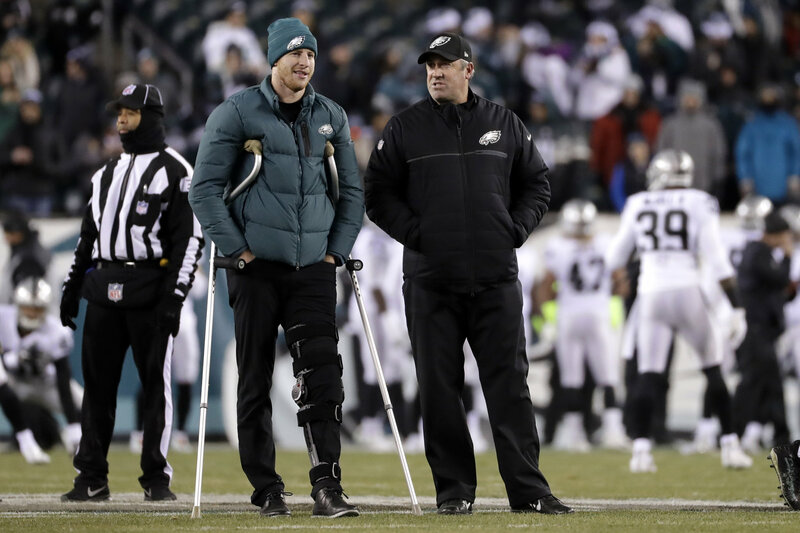 We know they’re going to do amazingly well, and Wentz will be back to do it again in 2018.